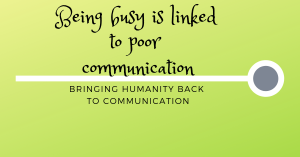 When you get busy, do your communication skills decline? Is busy switching off your humanity? Live a life you want and choose. Protect your boundaries. Be calm, present, and let things go (never to return to them). Learn how compassionate assertiveness can get you there. Come and spend a day with Steph Holloway in a small group setting with instantly relevant, applicable, and usable skills to take away. It will be irreverent in parts, it will definitely be fun, it will change your mindset, form new habits,…..and quite possibly change your life. Not a power-point in sight – just story telling, ideas, and conversation to uncover mis-perceptions, review breakdowns in communication, and sort them out for you. You will be challenged to think about what you send out, invite in, and enable in your communication. You will uncover and discover what is actually happening in your thoughts, words, and body language to influence every human interaction you live through. 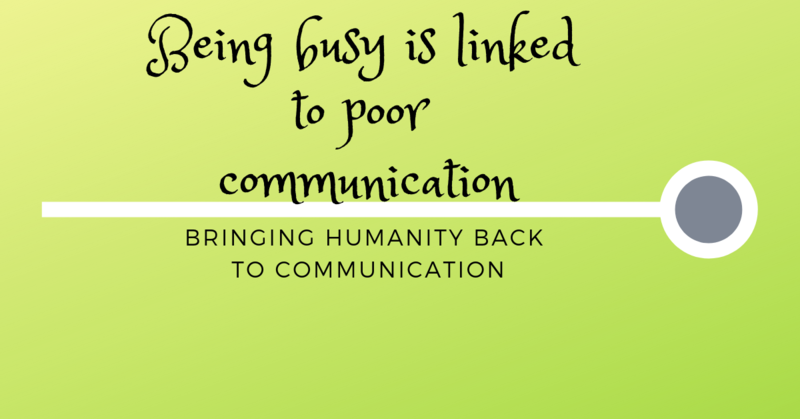 You’ll figure out what humanity in communication means, and what switches off your humanity. You create your own reality with every thought and action. You manifest what you deserve in your physical body, as a direct result of your actions in life and at work. The lines on your face. The dis-ease in your body, changes in physiology. Anger for example has a recovery time. It lingers in your body. Law #2 – Keep the ‘pings’ under control using compassionate assertiveness. This enables you to live a life you want and choose, protect your boundaries, live in questions instead of statements, judgements, moralisations and opinions. You are not running in A.P.E. mode – Assumption, Perception, Ego. If you invite it in you accept it. If you accept it you create a new normal….and then you have to live with the new normal. It really is that simple – always. You show other people by your actions what you will accept and what you think acceptable communication is. What are you accepting? Showing people you condone? Final thought? There is always time, money and energy somewhere to be found in every aspect of communication that is not right. Let’s heal what’s not right. Inspire you to get the communication you deserve. And educate you in simple to use, life changing skills.